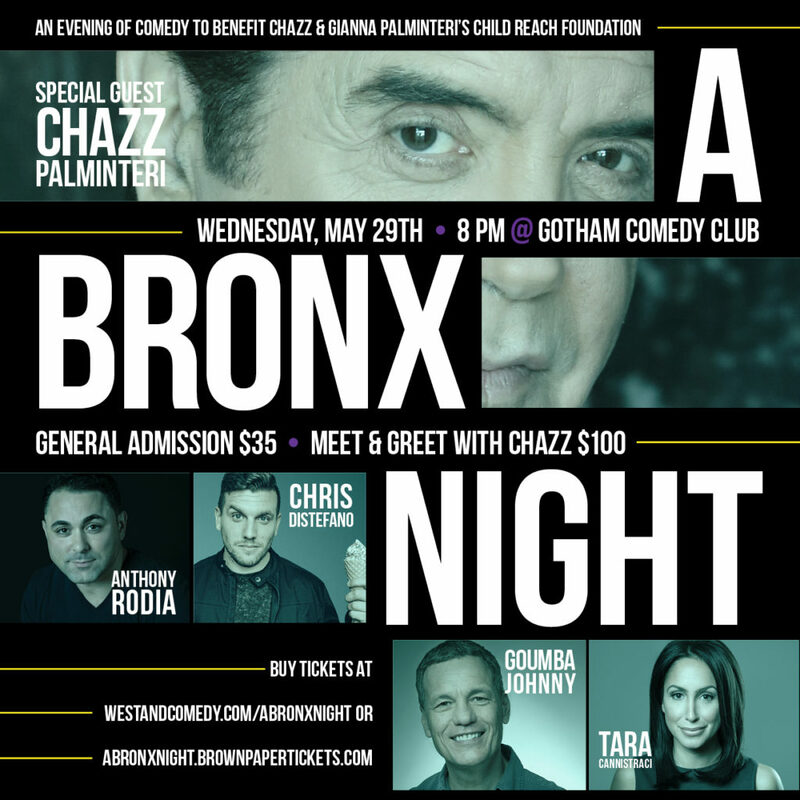 On Wednesday, May 29th, We Stand Comedy will be hosting an evening of comedy to benefit Chazz and Gianna Palminteri’s “Child Reach Foundation”. The Child Reach Foundation’s mission is to raise and disburse funds for thalassemia and other pediatric disorders, as well as funding grants for law enforcement families who are raising children with special needs, and providing funding for Arts in Education and Theatre programs for children. Talent: Tara Cannistraci (Danny Aiello’s Italian Chicks), Goumba Johnny (DIRECTV), Anthony Rodia (Uncle Vinny) & Chris Distefano (Comedy Central)!